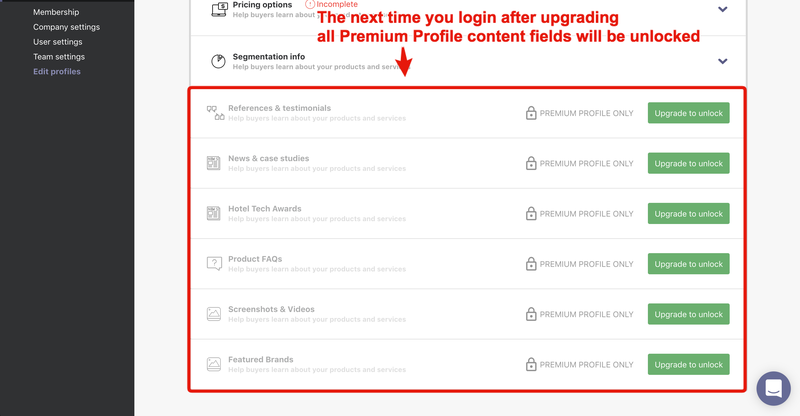 Other than enhancing your profiles for prospects searching for your brand online and buyers researching on Hotel Tech Report, your Premium Profiles should become your sales team's new best friend. To maximize their reach, direct prospects to them in your marketing collateral, post rave reviews on social media linking to your profiles and encourage your sales team to add a custom footer to their emails to help build trust with prospects and close deals faster (if you would like Hotel Tech Report to design a custom footer for your company, please reach out via the on-site live chat). Remove competitors and comparisons: Remove competitors and comparisons from your profile to ensure prospects stay focused on your solution. What customers love section: Highlight the authentic voice of your customers and show prospects what they love most about partnering with you. Website backlink: Backlink from your Hotel Tech Report to improve your SEO. Promote other products by your company: Promote and cross-sell your companies other products and services front and center on each of your profiles. Reach out via our 24/7 on-site live chat to speak with an HTR team member.